The stalls are almost all booked, the entertainment list is growing and our mouths are watering at the feast of presents, decorations, food and drink that will be on offer. It may seem strange to be preparing for Christmas when we are finally getting some Summer and most people are enjoying the Olympic fever, however we like to be prepared early. 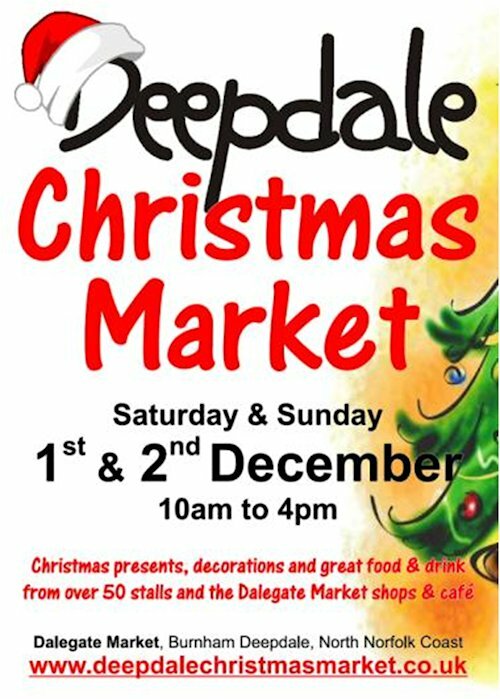 Naturally the permanent shops and café of Dalegate Market will be open for the Deepdale Christmas Market, as they are throughout the year – Fat Face, Gone Crabbing, Relish, One Stop Nature Shop, The Hare & The Hen, Keshco's Supermarket and Deepdale Café. However on Saturday 1st and Sunday 2nd December 2012, Dalegate Market will also welcome over 50 stalls of all shapes and sizes offering Christmas presents, decorations and great food & drink. This year’s Deepdale Christmas Market welcomes back some of our favourite stalls and a whole bunch of new ones. Deepdale Café and The Proper Pizza Co will be cooking to keep visitors and stall holders warm while they shop, more food will be announced soon. There are lots of food stalls, offering real ale, pork pies, Christmas puddings, rapeseed oil, fudge, spicy chilli sauces, heavenly chocolate, cheese, tasty soft drinks, stoneground bread, yummy cakes, preserves and even treats for your four legged friends. The range of Christmas presents and decorations includes organic body & skin care, wine racks, garden items, jewellery, stained glass, cookware, photography, games, puzzles, knitting, clothing, ceramics, woodcraft, wrought iron and we’re pleased to welcome four of our favourite charities to help them fund raise over the weekend. Deepdale Christmas Market takes place at Dalegate Market in Burnham Deepdale on the north Norfolk coast. It’s easy to reach Burnham Deepdale, using the Coasthopper bus service, by bike, walking or by car. The market is open from 10am to 4pm on both Saturday 1st and Sunday 2nd December 2012.